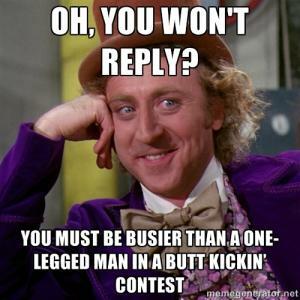 Willy Wonka and the Chocolate Factory is an old musical from the 70's about a man who owns a chocolate factory. 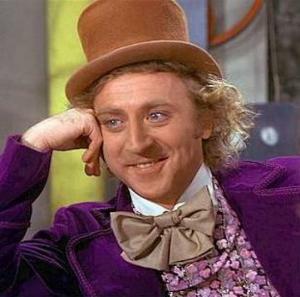 Most of the Willy Wonka memes have an image of Willy and text that usually end with the line, "Please tell me more" which is meant to be sarcastic. 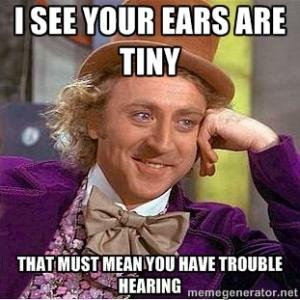 You will find other memes in this section that aren't your typical ones but mention things such as eating a sandwich and your ex both being leftovers, celebrating cinco de mayo but you're not Mexican and recent graduates working at Starbucks. 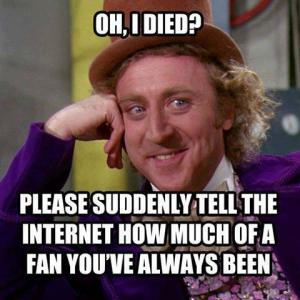 Willy Wonka memes like these and more are found in this section. 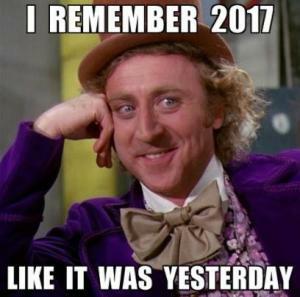 You will find so many new Willy wonka memes added to this section with more being added regularly. You can rate memes whether you like them or not with a thumb up or a thumb down. 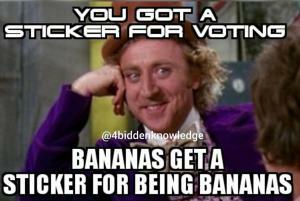 "Clinton got away with it, so I'm gonna vote for her!" 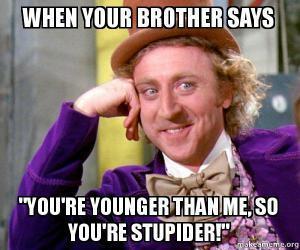 Oh really? 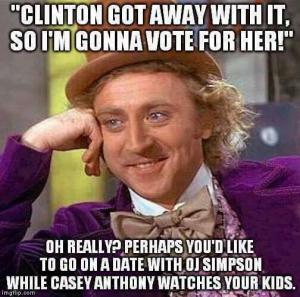 Perhaps You'd like to go on a date with OJ Simpson while Casey Anthony watches your kids. 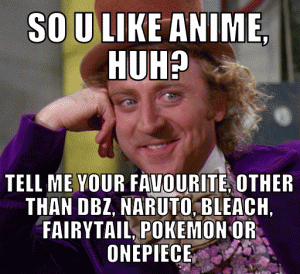 So u like anime huh? 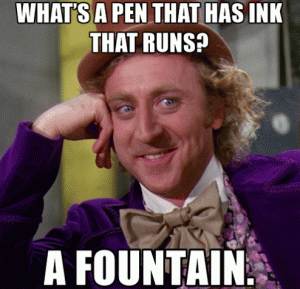 Whats a pen that has ink that runs? 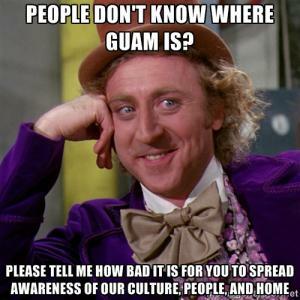 People don't know where Guam is? 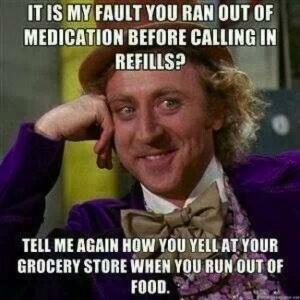 It is my fault you ran out of medication before calling in refills? 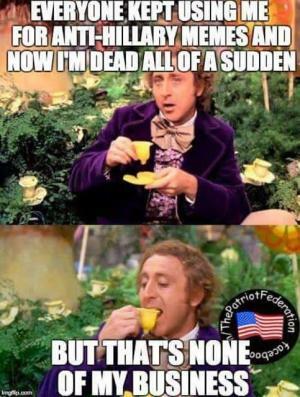 Tell me again how you yell at your grocery store when you run out of food. 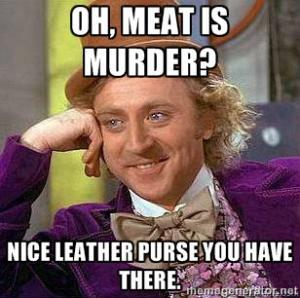 Nice leather purse you have there. 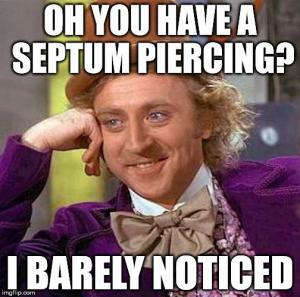 Oh you have a septum piercing?